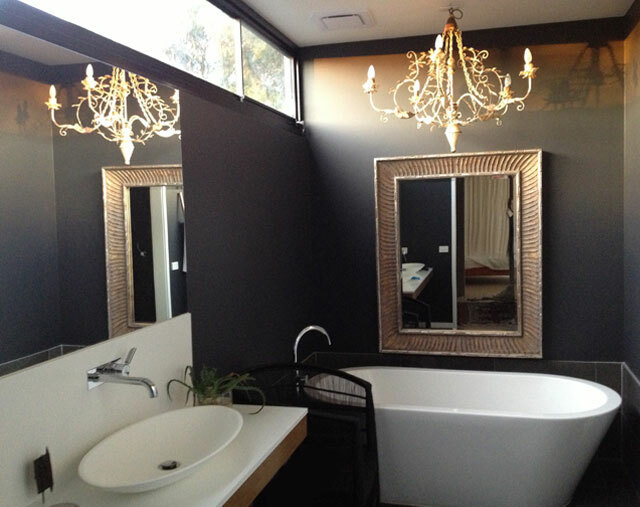 One of my favourite rooms in my home, I love the dramatic black walls, and the view of the bath, chandelier and mirror from the bedroom. I feel like a movie star in a luxe Hollywood pad every time I walk into it. The walls are flooded with light at sunrise, which in winter is about waking up time, a lovely warm glow to wake up to. 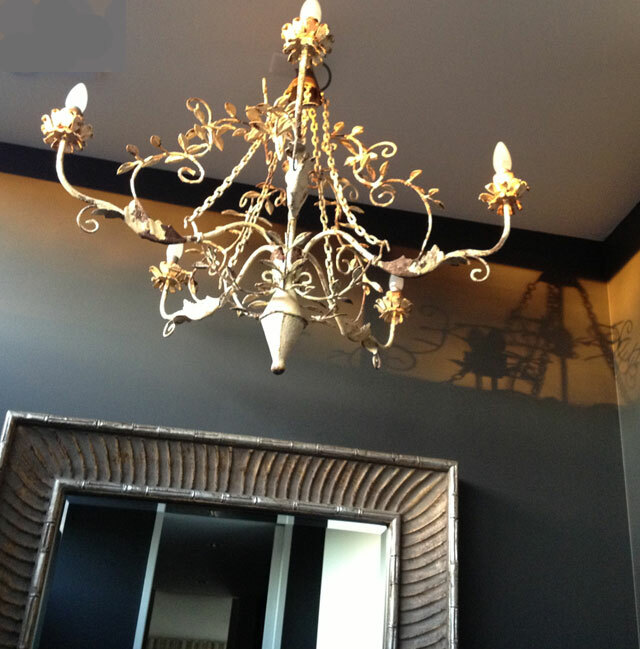 I would love to make other areas of the house this dramatic too, I was a bit braver in a small space. I am so pleased that we didn't tile the entire back wall, which is what we were advised to do, and used the mirror instead. Stick to your guns as I said in my top ten building tips! And it even has the Voice of Reason tick of approval, romantic but not to feminine! Another day I will show you the walk in robes that join the bedroom and bathroom, they are black stained oak and really add to the glam feel, but they are hard to photograph! Now that is my kind of bathroom! The tub is great, big enough for two, or several children! You know you will be welcome! So sophisticated!! Love that light fixture!